Fun, modern, colorful and simple! 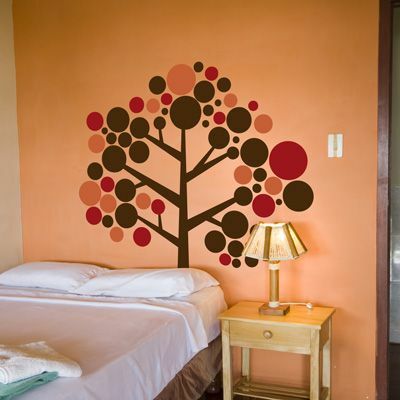 This super cute mod circle tree wall decal will instantly transform the look of your space. It is ideal for a bedroom, living room, office, or even your child's nursery! Please Note: overall height and width will vary based on the placement of the circles. This mod tree wall decal is available in any 4 colors of your choice! 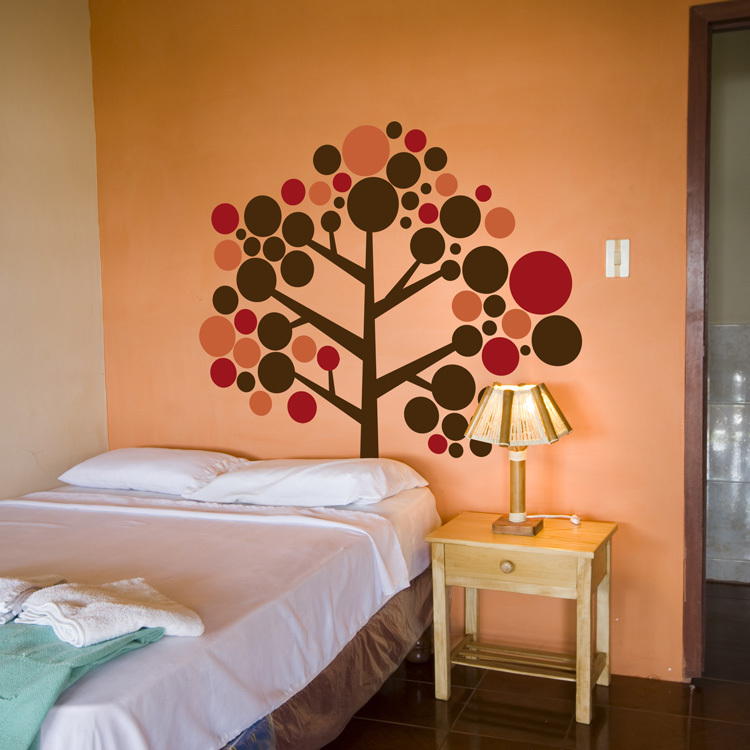 In addition to the tree, you will receive one main color of circle wall decals which includes 40 circles. You will also receive 2 additional colors of circles which will include 19 circles per color for a total of 78 circles. You will receive more circle wall graphics than what is shown in the image. This tree wall decal is made in sections for easier application. The circles and branches will come separately so that our customers can arrange them however they choose. Practice decals are included with every order.